Italics on the original: What do we say when we say "this is art"? What do we say when we say "this is art"? 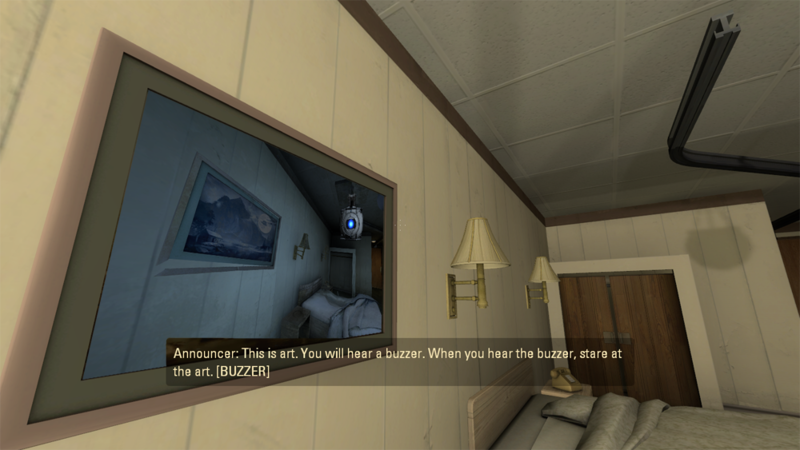 What does it mean that videogames are art or not? Well, talking ontologically about art is talking about a slippery term. Each decade and each person gives art the meaning they prefer. Truth is, we can't even agree on whether art is a practice, a product, an exceptionally long fashion, a human property, a skill or a set of objects. Much less can we decide what particular characteristics differentiate art from other practices, products, fashions, properties, skills or sets of objects. Every now and then there's a brief debate about whether something is art or not. Today I'm talking about videogames. The result is generally the confirmation that, when two people talk about art, they will both be talking about different things, and they will both be right by default, in their own way. Each one will try to explain why their definition is better than the others, but ultimately words are just words. No meaning is better than the other when we don't even understand where does the object we want to define start and where does it end. The quicker way to address the issue is to ignore the debate. If we're all talking about different stuff, and no one has yet invented any final experiment to prove them right, then it's not important whether something's art or not. There's also the more colloquial variant: if you believe it's art, then it is, and if you don't, then it ain't. In the end of the day, people who make games will keep on making games and people who draw comics will still draw comics and people who write novels will keep on writing them, without thinking too much if what they're doing is called art or proquiltenio. Generally I find it useful to point out that the art debate should have nothing to do with the quality judgement. If we understand cinematography is an artistic discipline, for example, the statement should ring true when said about any movie, be it The seventh seal or Brigada explosiva 3: Misión pirata. It's important to point it out because there's many people who simply can't conceive that there are bad works of art, and that makes any discussion worse by an important margin. This people are precisely what I wanted to talk about. Because it's a pretty common rhetorical resource in many discourses: a man who's not a good soldier and's not a good husband is not a man, an Argentinean who doesn't drink mate is not an Argentinean, a work of art that doesn't meet certain qualitative requirements ain't no work of art. Which does work as a rhetorical device, but is very far from aspiring to epistemological veracity. 1. They can't tell touching stories. 2. They can't move you like a painting, song, novel or movie. 3. They don't have enough deepness to discuss the big human problems. 4. They're a passing trend incapable of producing classics remembered through the centuries. 5. They're for children and immature people who has yet to meet the great pleasures. "Yes, dumbass. Yes they are."